La Sirena Madrileña: Flash Flash! 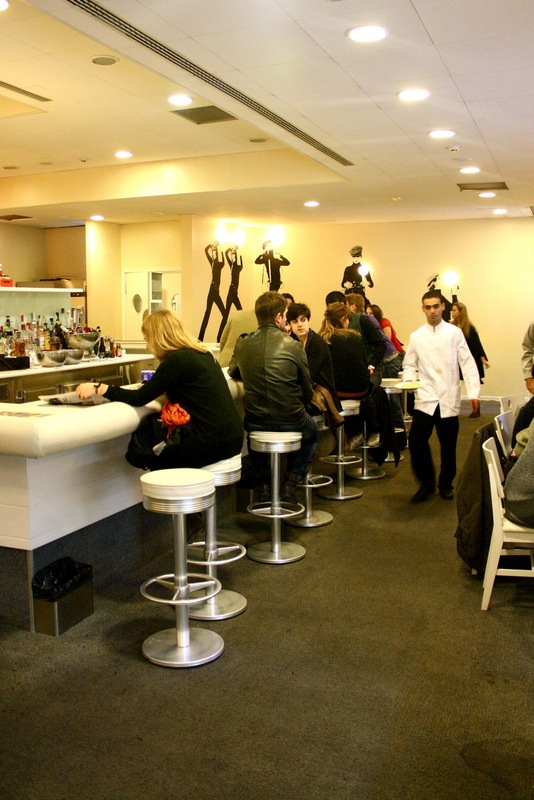 A funky, cosmopolitan, New York style restaurant in Madrid...Flash Flash is the name of this restaurant where varied Spanish cuisine meets a city/posh ambiance. 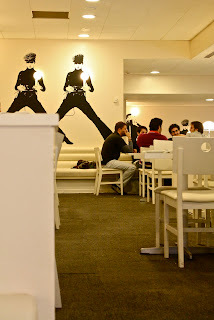 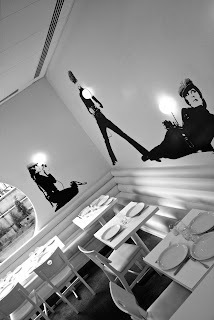 The waiters are dressed head to toe in black and white tuxes matching the enormous silhouette figures on the walls. Opened from 13:00 to 1:30 everyday, no reservations accepted, Flash Flash is the perfect place to eat a big lunch or dinner any day of the week. 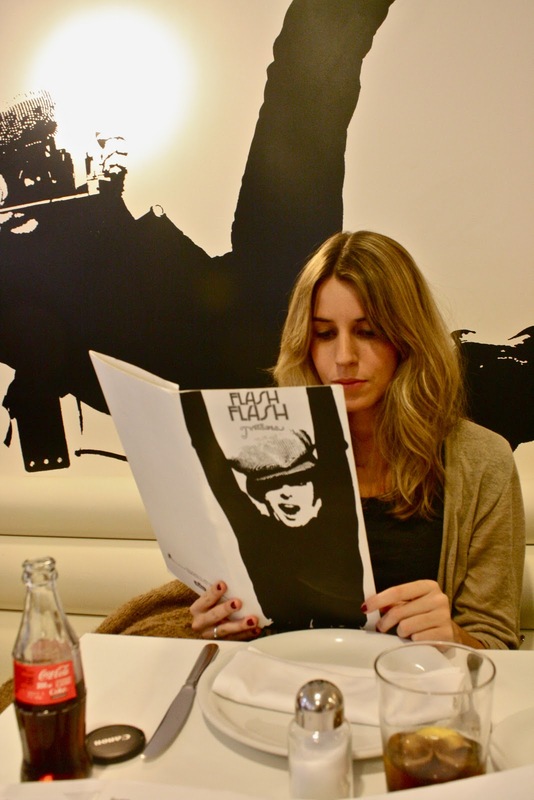 Everyone from fashion gurus, young people, couples, and anyone with an appetite for good food is attracted to this restaurant located also in Barrio Salamanca on calle Núñez de Balboa.